EUR was supported by the economic sentiment release. For today EURUSD is under the influence of Draghi and Yellen’s speeches concerning the inflation and rates. 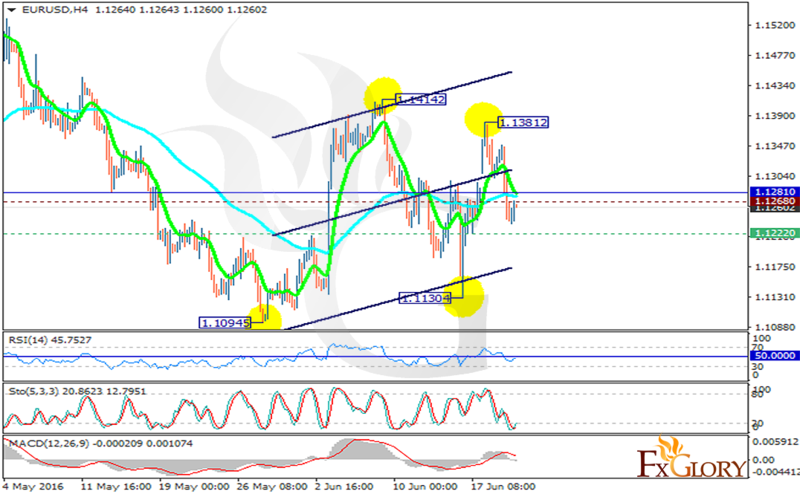 Despite EURUSD bullish trend in the first hours of yesterday, two strong pullbacks made the pair move in lower ranges. The support lies at 1.12220 with resistance at 1.12680 which both lines are below the monthly pivot point at 1.12810. The EMA of 10 is crossing the EMA of 75 on the monthly pivot point. Indicators are not presenting any clear signals; the RSI is staying at 50 level, the MACD indicator is in neutral area and the Stochastic is showing weak upward momentum. The decrease will continue targeting 1.1250.